It’s been a while since I posted an entry about my half Italian half American life on the site, but I think I’m finally ready, and may have something worthwhile to say. I’ve had a very rough time of it since I last wrote. 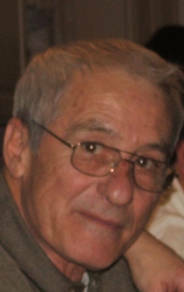 My dear father, my main connection to the Italian world, passed away after months of fighting pancreatic cancer. The shock of losing him, my father, this wonderful man whom everyone loved, who raised me and was always there for me, was initially absorbed and dealt with as best as any grieving daughter could. It was not until I went to discard my old newspapers that the magnitude of this loss was fully comprehended. As I placed old copies of “La Repubblica” and “Oggi” out for recycling I realized that what made me unique, what gave me my status as “Mezza Via” was now taken from me. I would become like every other Italian-American, with lost ties to Italy, no language spoken around me, no notes left for me in that “oh so particular” foreign handwriting, no serie A on TV, no fresh vegetables in my fridge every day, no one to ask about verb conjugations, I would probably now end up drinking cappuccino at five o’clock in the afternoon and making sausages in a red sauce on Sundays! I’ve told a little of the story of my Italian father and my Italo-American mother here on this site. I’ve told how he kept our family unique in its italianita’, how I was lucky to be Mezza Via , now I must carry on without him. I’ve been helping my mother answer all the kind notes sent from old and dear friends that remained in Italy over the years. I’ve spoken on the phone with my cousins and lo zio (my father’s brother) many times over the last few weeks. I’ve sent my daughter to Bologna to be with her cousins and help her deal with her intense sorrow. When I sat back and recalled all the events over the past 2 weeks since his passing, I realized that many of the contacts I’ve had have been of the Italian nature. I've never spoken, called or written, or even thought in Italian as much as I have over this time. And it has all come quite naturally. So I can safely say.......no "Olive Garden" for me. My father is alive in my memory and I will always be Mezza Via because of him. I cannot unlearn his influence on me. I will always be first generation, and I will always love and fully embrace my Italianess. I feel close to him because we will always share Italianita'. I know it was him that allowed the Italian words to flow naturally and effortlessly through me in writing, on the phone, and even in my dreams. Because of him I will always feel more Italian than my counterparts here in America; for I am Ancora Mezza Via.